The new Range Rover Evoque has seen its premiere in London, and brings Velar-inspired exterior and interior design to the table. The luxury compact SUV, which was last updated in 2015, also incorporates a slew of features seen for the first time on a Range Rover. These include 48V mild-hybrid tech, vehicle settings that learn and adapt to the driver, and camera technology that essentially doubles forward vision for the driver, under the front of the car. 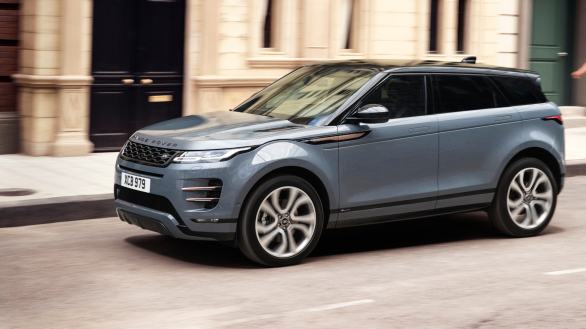 The compact size of the Evoque hasn't changed, for those wondering if the new-gen brings with it larger dimensions. Though, a shift to the company's new platform, called the Premium Traverse Architecture, opens up possibilities in the future for both plug-in hybrid and mild hybrid technology. 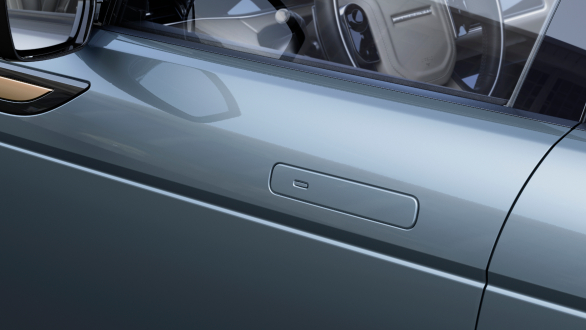 Land Rover says only the door hinges carry on unchanged, under the sheet metal. Styling is mildly evolved, bringing it closer to the Velar in terms of its overall look. New slimmer headlights merge into a similarly slimmer (and flatter) grille, and wrap around the side of the car. 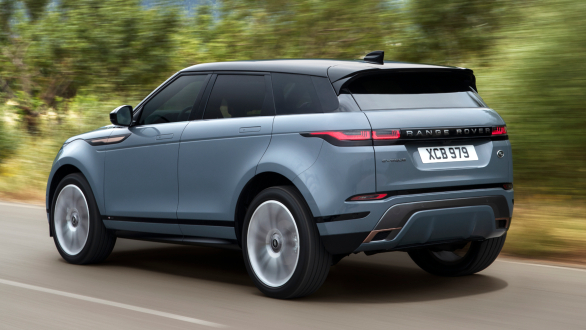 While its profile remains the same as the current model, the new Evoque features hidden door handles that pop out on request, as first seen on the Velar. The rear has been simplified as well, with slimmer, sleeker tail lights joined by a gloss black strip. 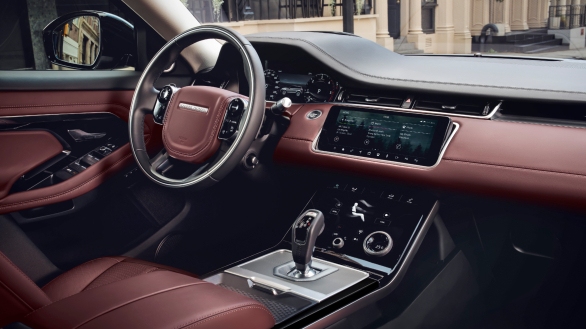 The influence of larger Range Rovers continues inside the cabin, with the slick-looking Touch Pro Duo infotainment taking centrestage. The good news is the twin touchscreen infotainment comes with Apple CarPlay and Android Auto connectivity right out of the box. The new platform is also said to have a stretch in wheelbase, with 20mm more rear kneeroom and 10 per cent larger luggage space. Also new is a mix of interior materials which includes recycled materials and other alternatives to leather, such as wool blends, faux suede, mélange and more. 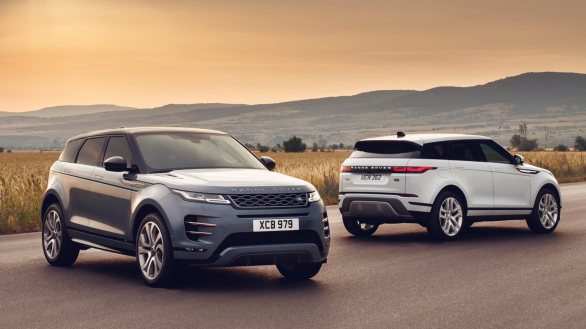 The Premium Traverse Architecture has been developed for electrification, and to begin with, the Evoque offers the company's first 48V mild-hybrid option. The engine choices span a range of four-cylinder, 2-litre diesel and petrol options, which all come mated to a nine-speed automatic transmission. The base diesel makes 150PS and 380Nm torque, while the top variant petrol is the P300, with 300PS and 400Nm torque. The Evoque will feature AWD and the next generation of Land Rover's Terrain Response system. Further, enhancing off-road ability if not the ability to precision park in cities, is the Ground View technology. The system can show a 180 degree view under the front of the car to avoid obstacles. Similarly, the ClearSight tech can show camera imagery on the inner rear view mirror, if the actual line of sight in the cabin is blocked by luggage.